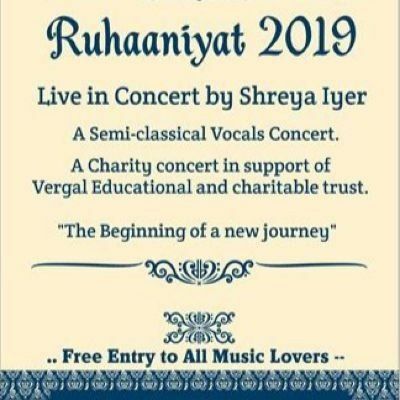 Ruhaaniyat is a semi classical singing concert by Ms. Shreya Iyer. Shreya is currently 14 years old, and she will be singing for a charity that works to fulfill the needs of children. Entry for the show is free, and all of the money obtained will be given to the charity. Come to support this noble cause!